Round over the front and back edges of the slats. Then Install the front seat slat, notching it to fit around the arm posts. 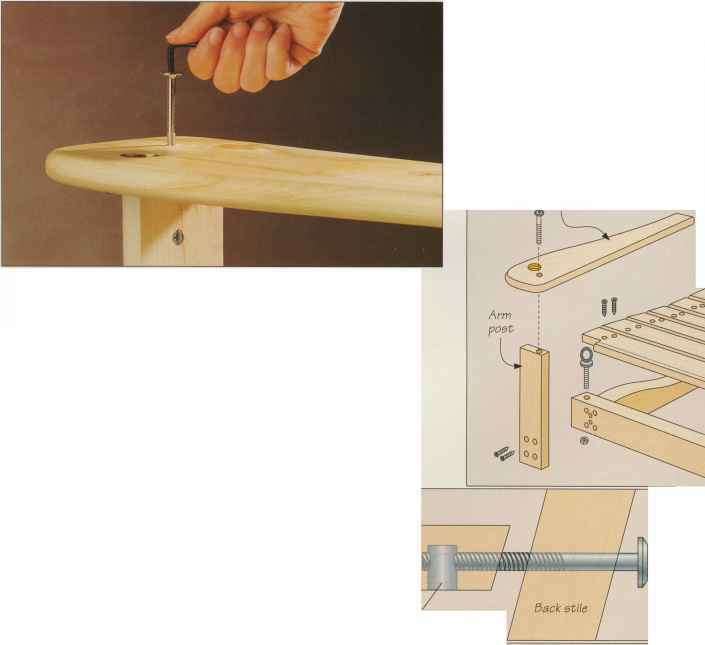 The front edge of the slat should be flush with the front of the arm post; the ends of the slats should project beyond the edge of the end seat supports by lh inch. Mark the position of the supports and drill pilot holes, then screw the slat in place (above, left). To install the remaining slats, use spacers Va to Vt inch thick to set the distance between the pieces. 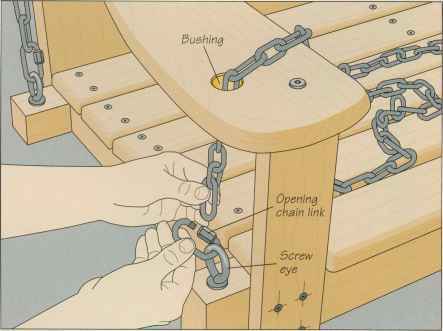 Tap the ends of the slats until they are all aligned (above, right). Then drill pilot holes and screw the slats in place.